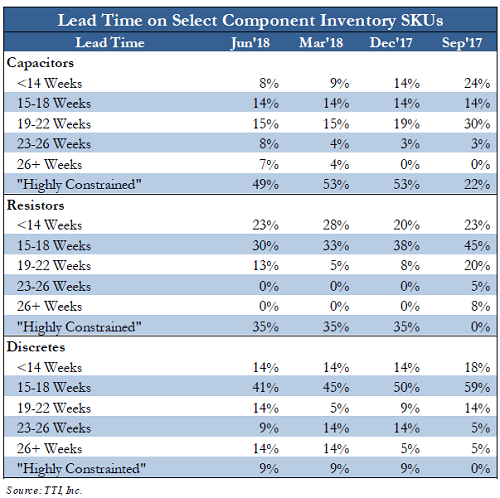 Electronic Component Shortages Update -- Will We See Relief in 2018? Electronic component shortages have been a hindrance on a booming electronics marketplace throughout 2018. While new orders roll in and production remains steady, there simply haven’t been enough capacitors, resistors and other parts to go around. With the addition of tariffs on imported Chinese goods introduced in July, most contract manufacturers are racing to understand what’s ahead for their already-constrained supply chain. “In some cases, suppliers aren’t even quoting lead times and instead are placing customers on allocation,” according to Stifel. “Pricing is also going up. 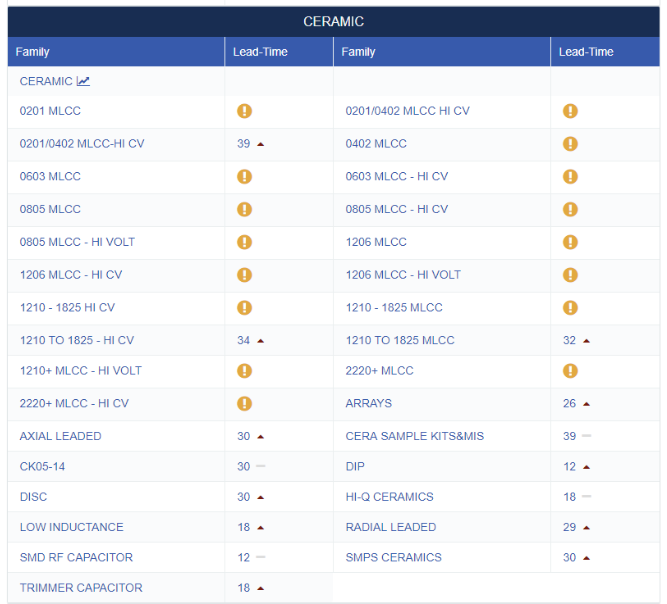 We have heard of some OEMs getting allocation on a weekly basis, forcing them to reschedule production runs when they can’t get enough supply.” Other component lead times continue to rise as well, including integrated circuits and some connectors. The end isn’t in sight – current lead time issues are expected to continue into at least 2019 and possibly further – but you can still put your company into a position to succeed by knowing what’s happening and planning accordingly. Make sure to speak with your supply chain to fully understand what they’re dealing with, and remember to be patient – everyone is in the same boat, and we’re simply riding out the storm.